With the global tungsten supply heavily controlled, prices have remained at a steady high. Used in machining tools and a fair few other applications, the cost of tungsten is a noticeable part of manufacturers bottom lines. As such, the days of simply throwing the part are over. Since in most milling and machining instances little tungsten carbide is actually worn; value from the part can yet be realized after it is unfit for industrial work from carbide recycling. Moreover, carbide recycling contributes to environmental sustainability goals of businesses, and help reduce their carbon footprint. Tungsten carbide recycling remains a challenging task, however at Alnor Industries we have the facility and the expertise to make it happen. 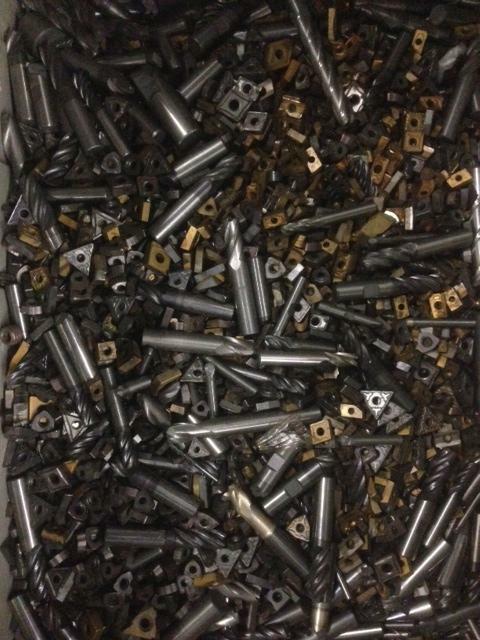 Alnor Industries has extensive experience in carbide recycling. Particularly tungsten carbide recycling, we reclaim value from various types of scrap containing it. We determine the value of recyclable parts from global prices. The price of carbide scrap is volatile, fluctuating daily. That said, meaningful value can still be extracted from carbide recycling.